This Saturday, there are going to be a staggering four Sengoku Basara events running in Japan at once. I'm not anticipating any news from the stage play, manga signing or college demonstration, but producer Kobayashi Hiroyuki will be presenting a brand new video again at a branch of Yodobashi Camera in Hakata, Fukuoka and there is bound to be some news to report on after that. Because of this I thought I could hold out until Saturday before writing another news roundup post, however it turns out that I was wrong; there's more to report about than expected! They really took their time with the official website update to announce the details of this issue. Until this week, all that was there was a simple PDF file and I had to scavenge my information from shop listings. Anyway, the update means we have the first picture from the new one-shot manga, Wan-Nyan Sengoku Basara, which reimagines the series with the characters as cats and dogs. It sounds interesting. 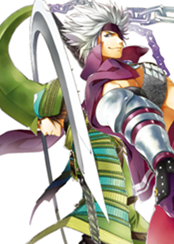 The magazine's website also confirmed that 21st December 2013 will be the release date for the delayed Sengoku Basara Comic Anthology 'Setouchi Chronicle' manga compilation. The details are as previously reported and while we don't have final cover artwork yet, there's at least a little preview picture to make it feel more as though the book might one day exist. 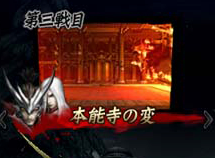 Perhaps they're planning on unveiling the full details along with Motonari in next week's magazine? Weapons you want to use. Costumes you want to wear. Names of moves which you can't help shouting out. Since I had some free time (my Crunchyroll subscription temporarily expired this week...please don't tell me what happened in today's Kakumeiki Valvrave!) I decided to quickly prepare some visuals to attempt to demystify some of the new material we saw in the newest trailer and screenshots. I'm not very good at this kind of thing so please forgive the amateurish presentation. Firstly, Sengoku Creation Mode's main 'march screen', with annotations. You can click the picture to make it larger. 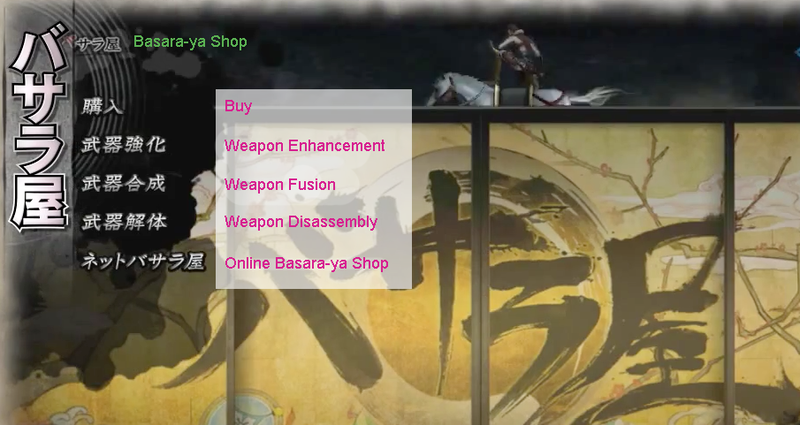 The shop has various sections you can browse, so this is what the next menu apparently looks like. Finally, the shop itself. I merged two different pictures together to show how the sale items and special deals appear. Unsure whether these annotations will actually help anyone... but you never know! The weapon inscription screen will have to wait for another day. 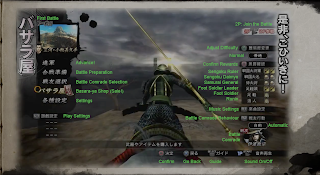 Next, here's a list of every confirmed stage in Sengoku Basara 4 so far to the best of my knowledge. To qualify for the list, I must have visually confirmed the name in a screenshot or video. Even though it's obvious who the bosses will be on some of the levels where that data is missing, I only want to include information which is 100% confirmed. If you're wondering about the 'Type' column, stage types are a new mechanic introduced in this title. I'm not sure whether all stages are available in all five variations, so I thought it would be interesting to make a note of this information too. Normal stages are the same as usual; fulfil the objectives and win the battle. 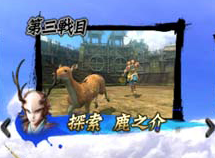 I think most of the battles you'll fight in the first round of Sengoku Creation Mode will be like this. 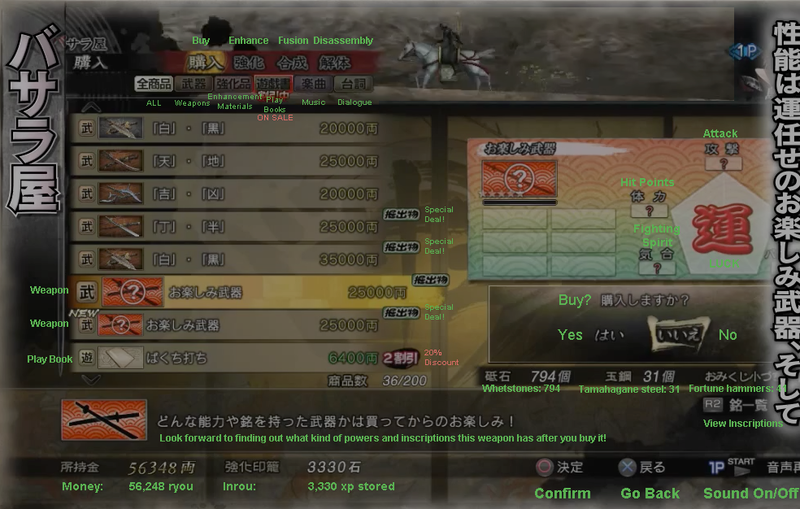 The newest video shows the rewards for a normal battle as the standard mix of weapons, money and enhancement materials. Outbreaks have red backgrounds behind their names and suddenly appear depending on the actions taken by the armies in the game. 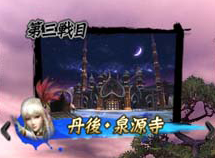 They seem to be just like the special stages which traditionally appear mid-game depending on your performance. The rewards shown in the video looked similar to the normal ones only with some nicer enhancements on the weapons. Omen battles appear on the map just like Outbreaks, except they have an ominous purple background. Going by the newest video, they reward the player with books and experience points. If you ignore an Omen battle, it might turn into a Derivation. These have a blue background, and a mixture of rewards. The fifth and final type of encounter is a One-on-one match; a quick boss fight which is touted as being a good source of weapons. 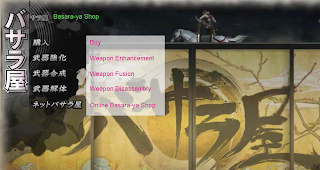 The single screenshot of one of these shows that every single reward tier offers weapons, even the lowest rank. 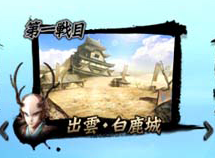 I'm a little confused about the colour scheme for Omen stages and One-on-one fights, because Investigation: Shikanosuke was specifically used as an example of the latter in several articles yet it seems to have a blue label. 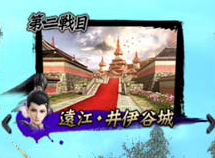 The picture shows Shikanosuke fooling around instead of a stage background. Is that the main difference between them? Anyway, that's the end of today's speculation! I may have misunderstood how this 'stage type' system works and the colours might mean something else (if so, let's blame Weekly Famitsu magazine for the original article rather than my incompetence).